They need your help now, more than ever! You’ve seen it for yourself – refugee children like Ella urgently need your help. Six-year-old Ella hasn’t spoken since a bomb exploded outside her house. She’s so terrified she can’t speak. War, famine and disasters force families to leave their homes in the hope of finding safety. Often, they have only the clothes they are wearing. They arrive with nothing – not even the bare essentials needed for survival. We urgently need your help to protect them. Food. Clean water. 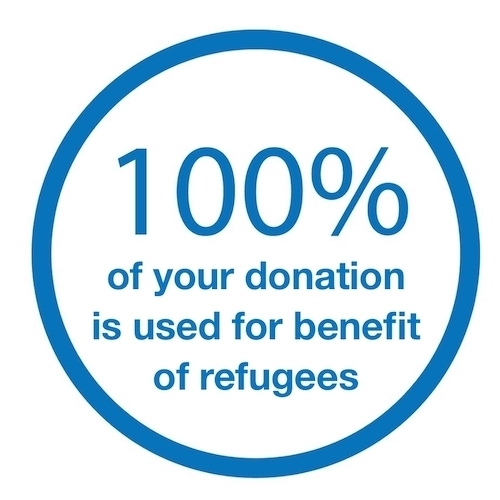 Shelter – you can help provide refugee children and their families with what they need to survive. Your monthly gift will help make an immediate impact and rush basic, lifesaving supplies like food, clean water, medicine and shelter to those who need it most. Show you care. Bring hope to refugees like Ella.